Veeru Potla to direct Nandamuri star? Popular story writer turned successful director Veeru Potla gave decent hits with the Manchu brothers in the form of Bindaas with Manoj and Doosukeltha with Vishnu. Couple of months ago, there were reports that Veeru Potla will direct a multistarrer featuring Venkatesh and Ravi Teja. However, the director denied these reports as mere rumors. 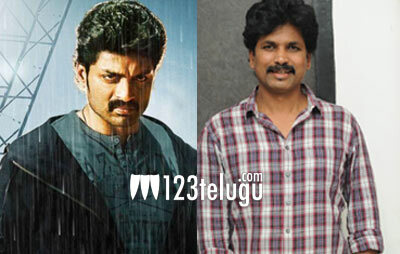 Now, as per the latest buzz, Veeru Potla is gearing up to direct Nandamuri Kalyanram in his next. Reports further say that the script work is nearing completion and an official announcement is expected soon. Meanwhile, Kalyanram’s upcoming film in Mallikarjun’s direction, Sher, is gearing up for its audio launch on the 10th, with NTR set to grace the event.